Yesterday a meeting was convened with the Taxi trades joint ranks committee (LTDA, LCDC and Unite), TfL and the Shard management. Taxi drivers have been working the Shard for sometime, where a busy stream of customers can by found leaving the buildings restaurants and bars, till the early hours. As St Thomas Street in part of TfL’s red route network, a request for a rank was made and accepted. But to everyone’s amazement, the rank was placed a considerable distance down St Thomas Street. In fact, it appears to be closer to Borough Market than the Shard. Complaints were made on serval occasions, but to everyone’s surprise, a senior manager from TfL (Leon Daniels) became personally involved, insisting the rank should stay exactly where it’s been placed. Many in the trade feel TfLs involvement is another attempt to facilitate a PH company, something that appears to be happening far to frequently. 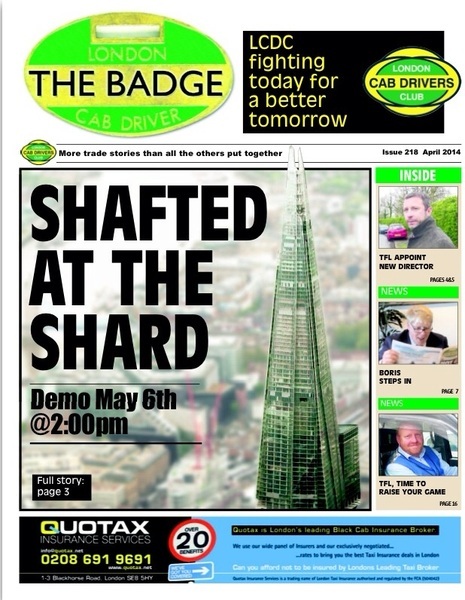 The satellite office’s drivers, are alleged to be touting outside and inside the Shard on nightly basis. 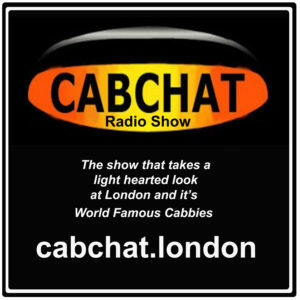 It’s alleged the license holders are London Executive, who have just been taken over by Addison Lee. The Shard is one of the most prestigious and largest buildings in London and is an enormous source of customers for Taxi drivers. TfL appears to be putting their weight behind the private hire trade regarding this issue and are adamant that the rank should remain where it has been sited which is a considerable distance from the entrance of the building. TfL expects Taxi drivers to sit on a rank that is at least 100 metres from the entrance while private hire are allowed to park outside the main entrance and their clipboard johnnies coerce the customers into using their private hire and then herd them into waiting vehicles. Touting whether from a vehicle or by the so called clipboard johnnies is illegal but the only enforcement that has taken place at this site has been in the form of compliance officers who have bullied and intimidated licence Taxi drivers, picking up from the loading bay area, in front of the Shard entrance. Private Hire companies must be paying handsomely for the privilege of having a satellite office within the Shard which is obviously why the management of the Shard are eager to keep the rank sited in its current position. Also the business and restaurants within the Shard must also be expecting large kick backs from the private hire industry and the fact that they earn nothing from licensed Taxi drivers means that they want to keep us at a safe distance from the entrance. We know from experience that the customers who visit the Shard would prefer to use Taxis rather than private hire because as soon as they see the line of waiting taxis they walk straight over and get in one, but if they cannot see any taxis for hire with their light on then they will of course use what is readily available. The LCDC have called this demo and it is supported by Unite, the UCG have said that they will support the demo and it is expected that the RMT will also support the Demo the only driver organisation that has not yet fully confirmed and keep changing their minds is the LTDA. The LTDA needs to back this demo to show united trade support for this demonstration and to show the management of the Shard and TfL that we are sick to death of being pushed around and will no longer stand for it. All Taxi drivers need to support this demo either by attending on the day or if for some reason you feel that you cannot attend then please do not work in the immediate area while the demo is taking place.